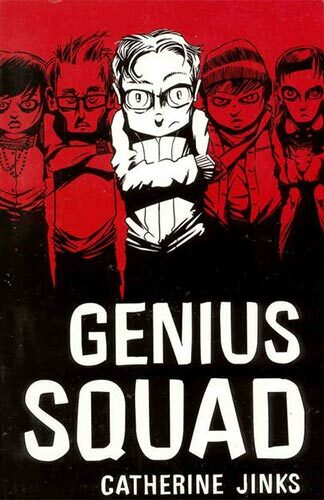 Book Synopsis: Genius Squad is the sequel to Catherine Jinks’ 2006 Davitt Young Adult award-winning, Evil Genius. Cadel Piggott, boy genius, returns, but this time he’s trying to make it on the side of good, rather than evil. Cadel is faced with the grim prospect of killing time in a well-meant foster home where computer time is doled out in excruciatingly small time periods, and which also houses a bully of low cunning who has his sights set on Cadel. He is also being watched closely by the police because of death threats made against him by Prosper English, the criminal mastermind he helped put in gaol. Enter Trader Lynch, who has an offer for Cadel – the chance to leave the foster home forever and work amongst a group of similarly minded fellow genius teenagers. But is it too good to be true? Detective Inspector Saul Greeniaus, sent to watch over Cadel, thinks it might be. The real genius of this novel is not its fast-paced storyline, computer and technology savviness, or its likeable, realistic and sympathetic characters. It’s not the tussle Cadel has between doing what’s right and not what’s easy, or the tentative, warm relationship he makes with the gruff father-figure police officer, Detective Inspector Saul Greeniaus. It’s not the wonderfully Dickensian names and impeccable plot twists and turns. It’s not even its empowering portrayal and Cadel’s accepting friendship of a young girl with cerebral palsy with a gifted mind and useless body. The true genius in Genius Squad is that in the days of sequels, prequels, trilogies, and so forth, a quarter of the story is not dedicated to a re-hash of the first novel. If the reader has not read Evil Genius, they can still follow Genius Squad without difficulties, but will be intrigued to track down and hungrily devour the first one. Don’t let the Young Adult label turn you off. This is a novel which does not speak down to its younger audience, or assume they have intellects the size of peas. Fans of smart crime thrillers will love Genius Squad, regardless of age. Well deserving of the Davitts Young Adult 2009 award!